Excited cheers and shouting fill the air on Washington Boulevard as crowds root for their favorite pig during the "Running of the Pigs" at the annual Pigtown Festival. 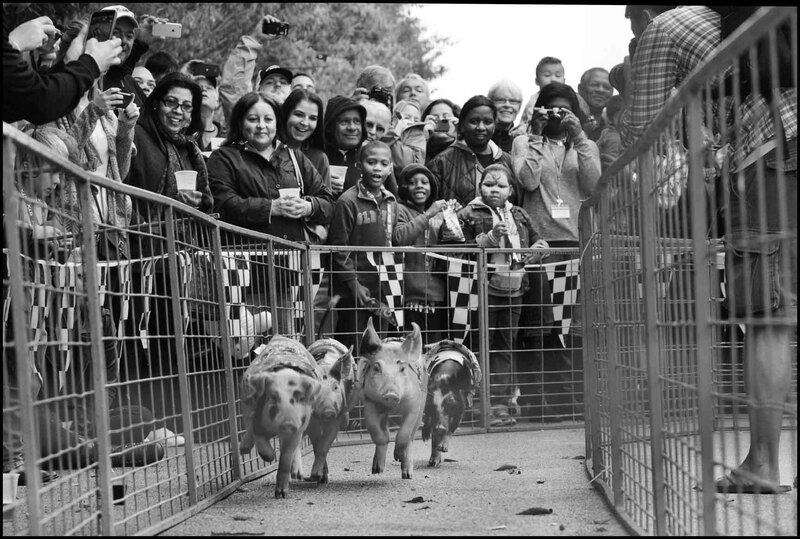 The running, and the festival itself, pays homage to the area's past and origin of the name Pigtown, which came from the days when pigs were run through neighborhood streets to slaughterhouses then-located in south Baltimore. These days, the pigs get cookies at the end of their run.